Please see the below image for examples of waste that are accepted through this free recycling program. You may download this image as a useful poster by clicking here. Can I only collect NOW® -branded packaging? This free recycling program is brand-specific, which means you can only recycle packaging of this particular brand. Please refer to the accepted waste poster for the types of waste that are accepted. To earn TerraCycle points, your shipments must weigh at least 1 lb. If your shipment meets or exceeds the shipment size requirement, each piece of waste your location sends in will earn you about 2 TerraCycle points. 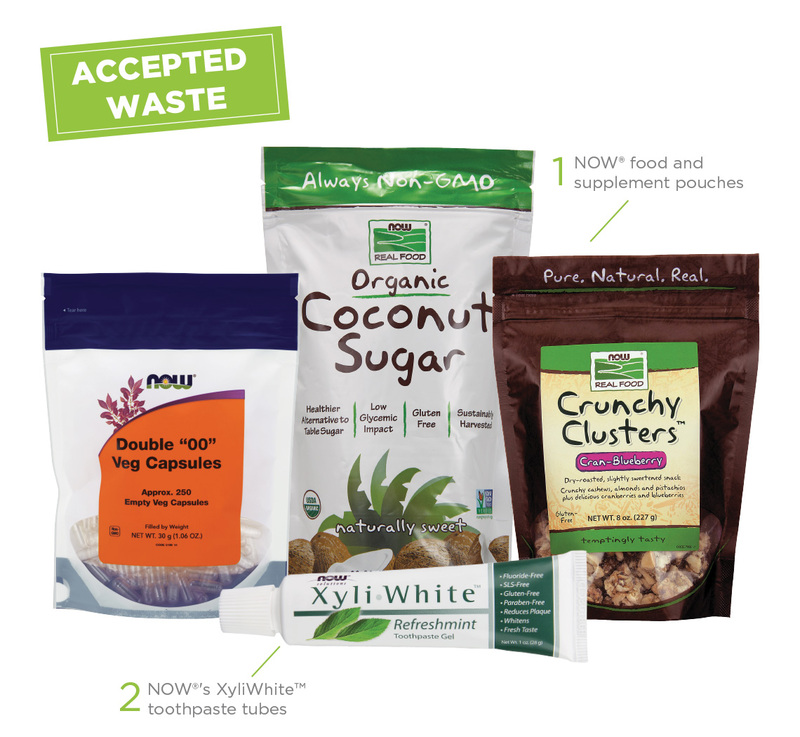 NOW Foods® flexible packaging will be counted based on an average unit weight of 0.02 lbs.